As a tennis parent, you can feel very isolated. While you meet your child’s coach and other tennis parents, you still feel like you are largely working hard on your own to make the decisions about your child’s tennis. As your mentor, I can remove that feeling of isolation. Whatever the cause, I can help you to develop and maintain a focus on reaching your child’s tennis goals. 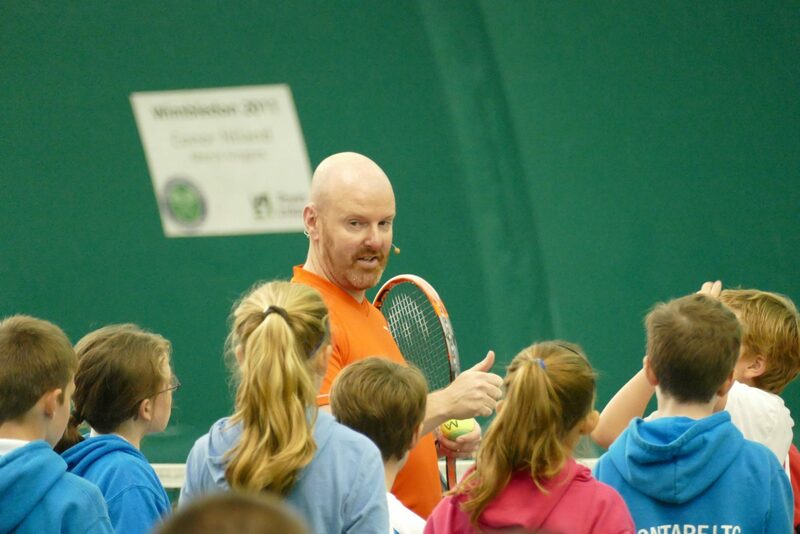 Mentoring is appropriate for any tennis parent who is committed to supporting their child’s tennis journey; whether they are talented beginners, working towards a university tennis scholarship or semi-professional. It is important that you are willing and able to apply the information and guidance from your mentoring sessions. How does The Service Box Mentoring Programme work? As your mentor, I am 100% committed to understanding you and your child’s tennis. That takes time. So, initially, to begin your Mentoring Programme with the Service Box you will join the programme for one quarter (3 months). The introductory rate is £200 (a discount of 50% on my hourly rate) per quarter. A free 1/2 hour session on Skype or Facetime to establish your child’s goals and needs. 2 hours of one-on-one meeting time with me per month – this is your time and you can customise this time to suit you. Examples of how this time can be used are included below. Inclusion on the Service Box Mentoring Programme’s secret Facebook Group – exclusive to my mentored tennis parents, this closed group puts you in touch with a community of other tennis parents who are also seriously engaged in driving their child’s tennis development forward. You can ask questions and get feedback from these parents … and also me. I am going to be active in this group. Discounted tickets to any of my speaking events, workshops and courses. This is an important step in supporting your child’s tennis. Please contact me to apply for the Service Box Mentoring Programme and to answer your questions. If you would like a “one-off” remote coaching or mentoring session then the normal £60 per hour charge applies. We have been using Kris’ video services for a few months now and they have been such a necessary and positive boost for my son’s self-confidence on and off the court. Having someone outside of my son’s usual sphere of influence, give him advice and mental strategies has completely altered his mindset. When a coach with Kris’ pedigree sends your child videos personally addressed and tailored to them and their needs, they will listen. Since using Kris’ services, my son has handled the pressure of competition much better, he has started to view losing as a learning experience rather than a failure, he is believing in himself more, and he has begun to look more at the big picture of the sport and his place in it, rather than just one match, one tournament, etc. I cannot recommend Kris more highly. He challenges my son with his questions and perspective and allows him to ask questions about issues he personally is dealing with. It has been an amazing experience for him, and for myself as well, watching him grow through the process. The fact that Kris has never even met us, yet he can encourage my son and motivate him from across the globe, speaks to the caliber of coach that Kris is and the value that his service provides. There is a maze of hoops and complications involved in having a son chasing a life in the tennis world. Kris has been a clean straight line of clarity for us. From the arrangement to meet, to the things that would be useful to have at the session and the thinking that should be done before, all bringing a focus and a purpose to every training session Sam has had with him. He plans and does so with his enviable understanding of what is going on in a general sense and then with specific understanding to what Sam needs to do to move forward. Within each session he responds to what is actually happening on the court by taking small side steps to work on some minor point whilst still travelling towards the days goal. He looks to converse with Sam about the steps they are working on for feedback but also to provoke Sam into engaging with his own learning process and self evaluation in a positive forward looking way. On court is not the only work to be done and this has appealed greatly to us, goal setting and the process goals to achieve what you set out to do, the work continues with an updating and reassessment of these goals. These are tangible events that allow both Sam and myself to clearly see how things are going, results in matches not being the sole focus of a young player’s progress. It keeps expectations real and has made the experience of working with Kris very relaxed and enjoyable.